A highly motivated and trained team of professionals are supporting operations of KMM. Having worked closely with all major trade lines worldwide, the company is fully conversant in all aspects. KMM is having cordial relationship and excellent rapport with all leading Air Lines, NVOCCS and Government agencies like Ports and Customs Authorities. It s well versed with the systems and procedures of the business. 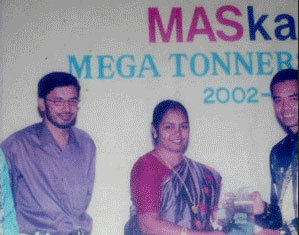 The Best resources are Our People and Associates both in India and World over Forwarding Agencies, in Europe, Far East and USA, who are able to speedy and reliable services enabling us to give satisfactory services to our customers in India, who are ever ready to provide Total solutions in Logistics, Transportation, Warehousing, Customs Clearance etc. 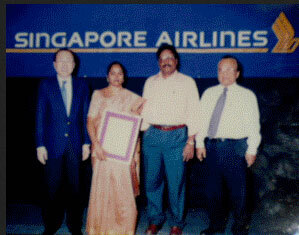 • Accredited Agent with International Air Transport Association (IATA). 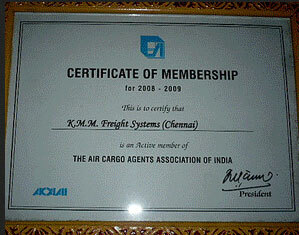 • Active Member with Air Cargo Agents Association of India (ACAAI). • The worldwide network of agents covering all regions in the world. 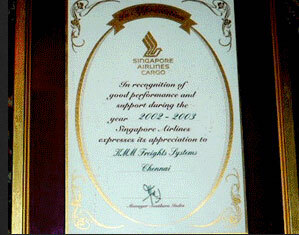 • Best working arrangement with all leading International Airlines & Shipping Liners. • Professional and dedicated manpower and has also got Secured warehouse facility. Our office is equipped with modern telecommunication facilities and utilize fully computerized environment. All operations of the company are automated by a customized software package. Online tracking facility is employed to monitor the movement of the cargo til its destinations. And also, All our operation staffs at the respective fields are equipped with Mobile phones for Communications at any time, any where. With our communication systems always online, prompt interaction with customers are assured. And, the company's excellent relations with trade and statutory bodies ensure that your business is transacted efficiently and quickly. For Quick Link Support Click Here!